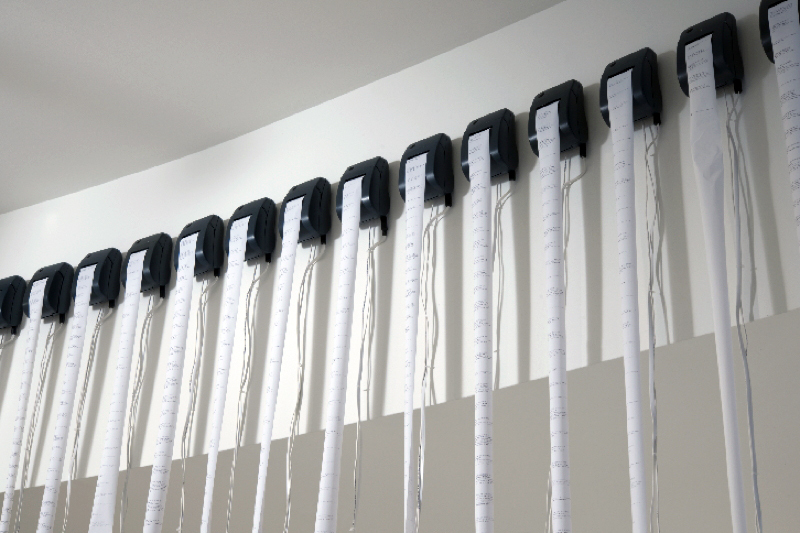 Murmur Study is an art installation that examines the rise of micro-messaging technologies such as Twitter and Facebook’s status updates. One might describe these messages as a type of digital small talk. But unlike face to face conversations, these fleeting thoughts are accumulated, archived and digitally indexed by corporations, governments and research institutions. While the long-term impact of these archives remains to be seen, the sheer volume of publicly accessible, personal, and often emotional expressions should give us pause. 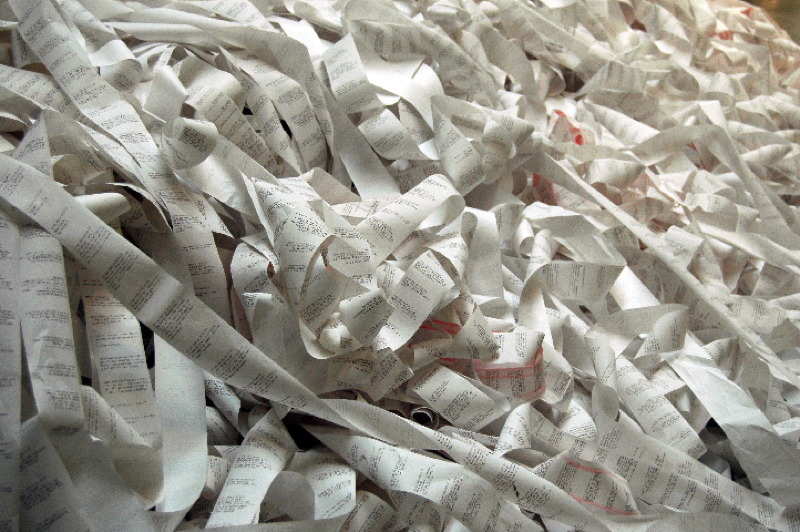 The installation is comprised of a variable number of thermal receipt printers that continuously monitor Twitter for new messages containing variations on common emotional utterances. Messages containing hundreds of variations on words such as argh, meh, grrrr, oooo, ewww, and hmph are printed on an endless waterfall of receipt paper that accumulates in tangled piles on the floor. The monumental form of the sculpture is intended to physically represent the otherwise invisible deluge of digital small talk flowing from Twitter. Christopher Baker is an artist whose work engages the rich collection of social, technological and ideological networks present in the urban landscape. He creates artifacts and situations that reveal and generate relationships within and between these networks. Christopher’s work has been presented in festivals, galleries and museums internationally including The Pace Gallery and the Museum of the Moving Image in New York; the Saatchi Gallery in London; Laboral in Gijon, Spain; Centro di Cultura Contemporanea Strozzina in Florence, Italy and Alta Technologia Andina in Lima, Peru. Christopher’s work has been published and reviewed widely, recently appearing in Sculpture Magazine, and the critically acclaimed Data Flow: Visualising Information in Graphic Design series. Since completing a Master of Fine Arts in Experimental and Media Arts at the University of Minnesota, Baker has held visiting artist positions at Kitchen Budapest, an experimental media lab in Hungary, and Minneapolis college of Art and Design. 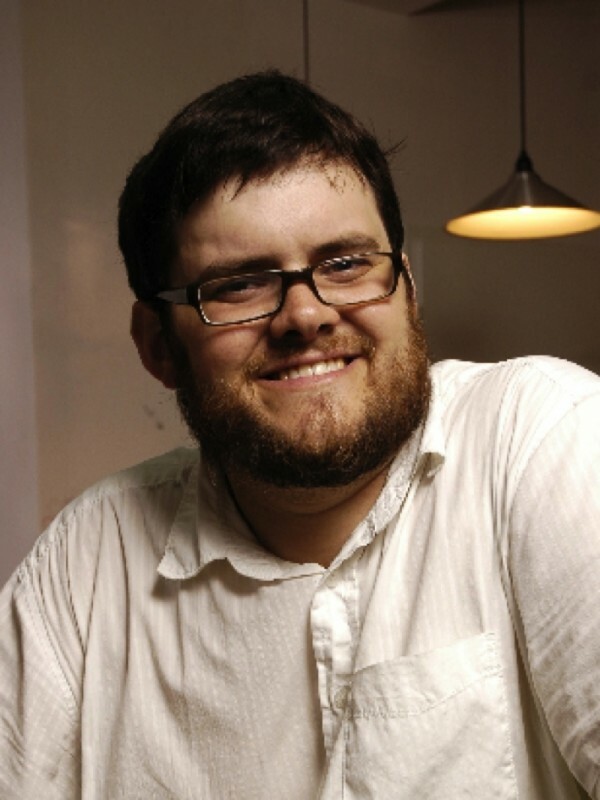 He is currently an Assistant Professor in the Art and Technology Studies department at the School of the Art Institute of Chicago.